Stapylton was partially closed due to some small pieces of cement sheeting containing asbestos being found. Unfortunately, it has just been discovered, most likely due to the recent heavy rains, that there is more spread across the campground. See the official media release below. Please spread the word around and alert anyone you may know who has headed off already intending to camp there. There will be some signage at the park for late arrivals who are not aware. I will keep you all up to date with progress. This is high on the list to now be fixed as soon as possible. Considering this issue is one of public safety and that the process for asbestos removal and care can be involved, I would suggest that patience is required. At least when it has finally been cleared, this issue won’t raise it’s head again in that campground. An unfortunate turn of events and one left over from past guidelines and best practice. Stapylton Campground in the northern section of the Grampians National Park is currently closed due to in-ground asbestos contamination. “We appreciate the patience of visitors while the area is closed and encourage people to camp in other areas around the park,” said Mr Roberts. “There are plenty of other opportunities to get out and enjoy the spectacular Grampians National Park this long weekend and into winter,” said Mr Roberts. For further information contact Parks Victoria at http://www.parks.vic.gov.au or call 13 1963. 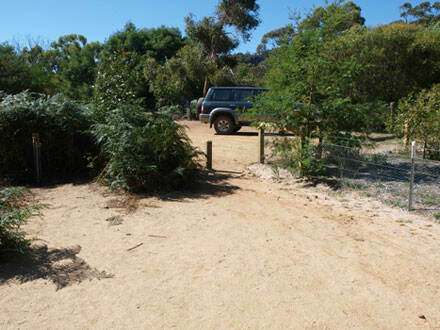 This entry was posted in Grampians and tagged camping, grampians, parks victoria, stapylton campground by Tracey. Bookmark the permalink.